Where else do you go to get some holiday inspiration? 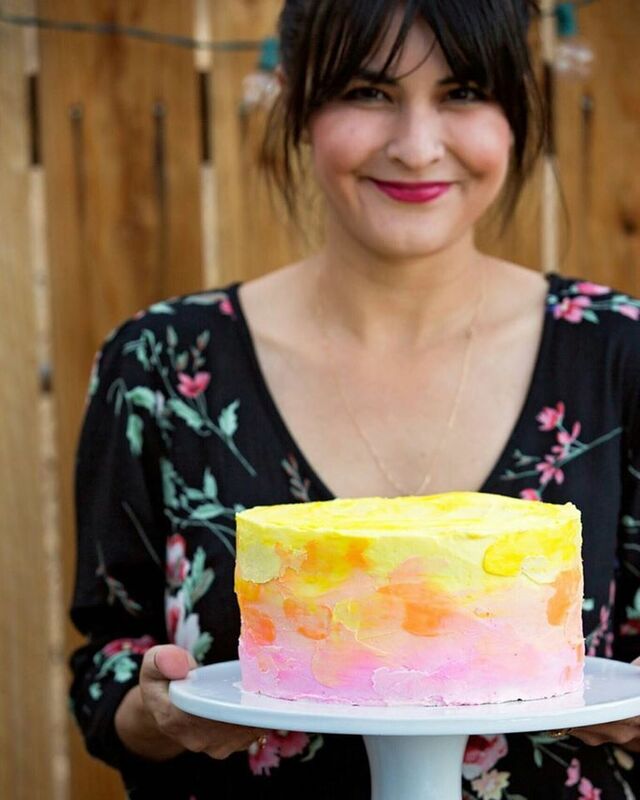 Pinterest! So I made my way over there to look at some beautiful gift wrapping. So if you haven't wrapped a thing yet, take a look at see how these people made their gifts a bit more special. 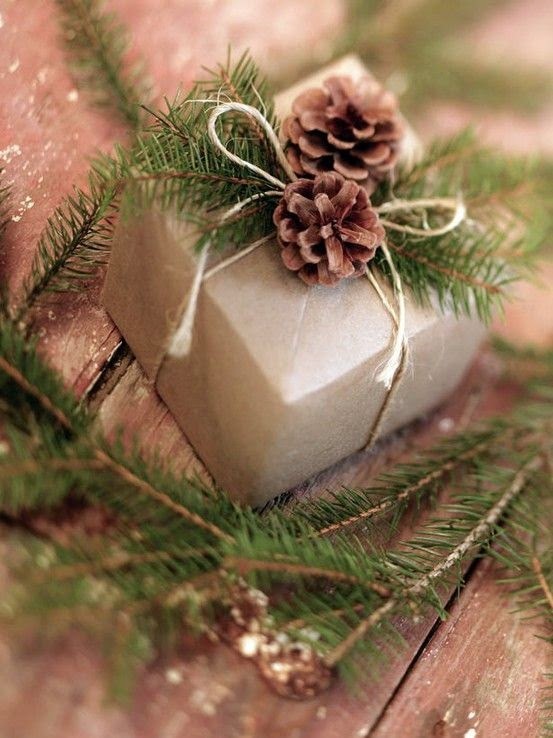 Adding some twine, pinecones, and christmas branches adds a rustic look that I just love. Yarn can go a long way...(no pun intended) But I just love the shapes and patterns made by these colored red and green yarn. How fun are these Christmas lightbulbs? 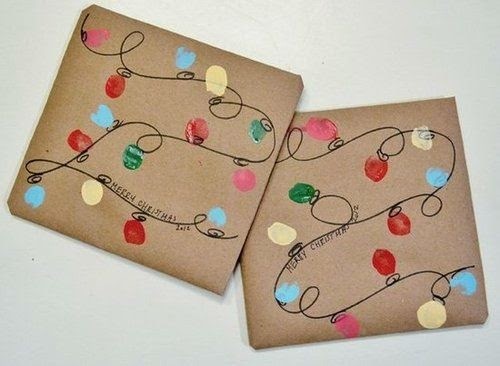 It can be made with your thumb prints then sharpie the strands to give it the look. 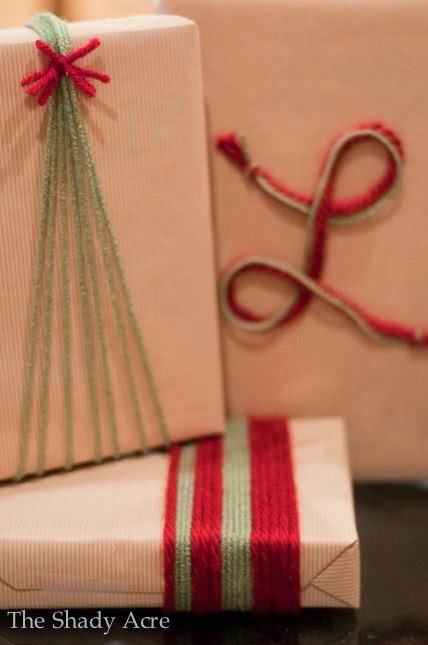 A statement ribbon can simply spruce up any gift! 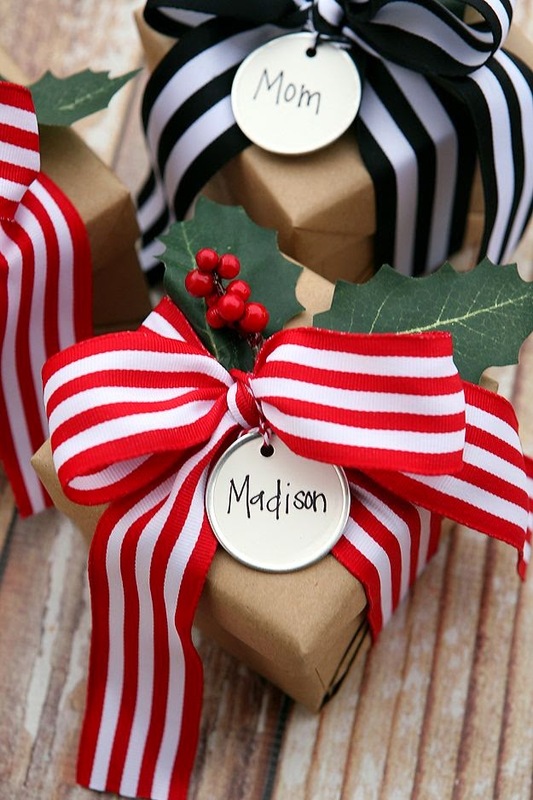 Tie a big bow and add a name tag. 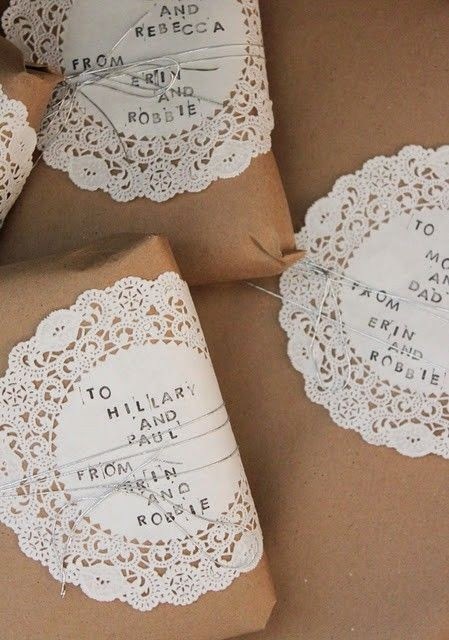 Who knew you could use doilies to add some vintage feel to a gift. I love how they used the center to stamp "to" and "from". Such a good idea!